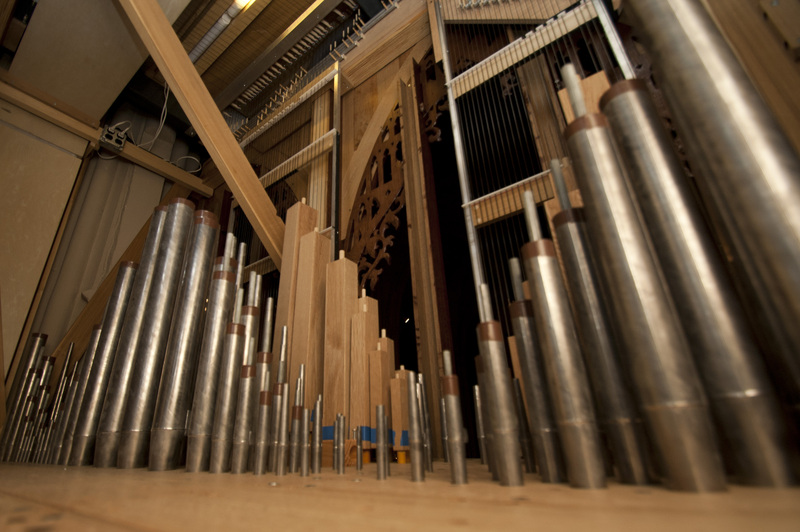 Organ Installation, The Big Trombone and other new voices taking shape! 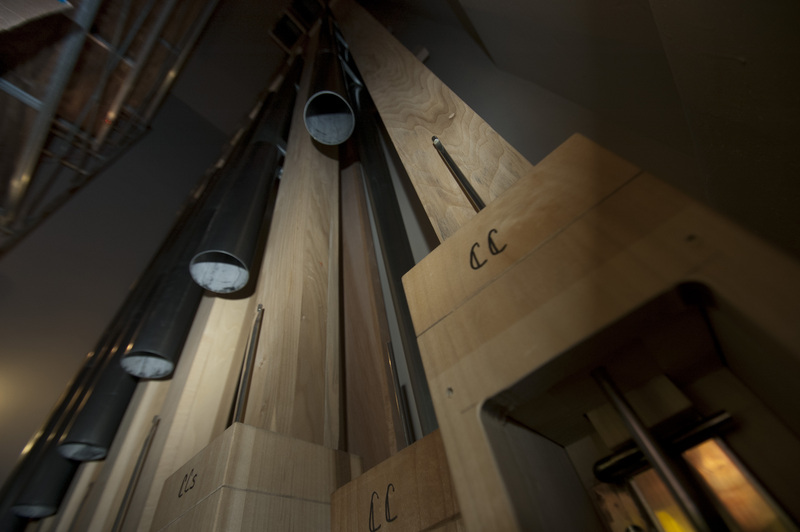 This week the two 32′ Pedal reeds took their places on the wind chest of the Chamber Space. 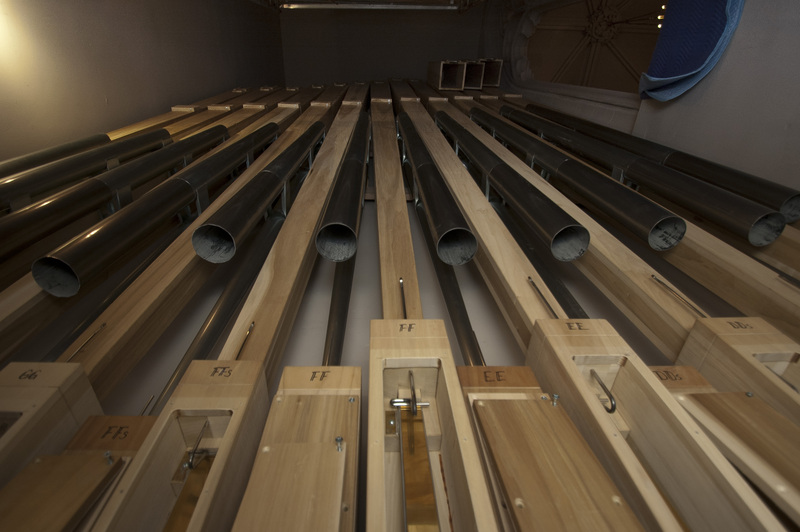 The Trombone is the big wooden set of pipes, some so tall that they are bent over. 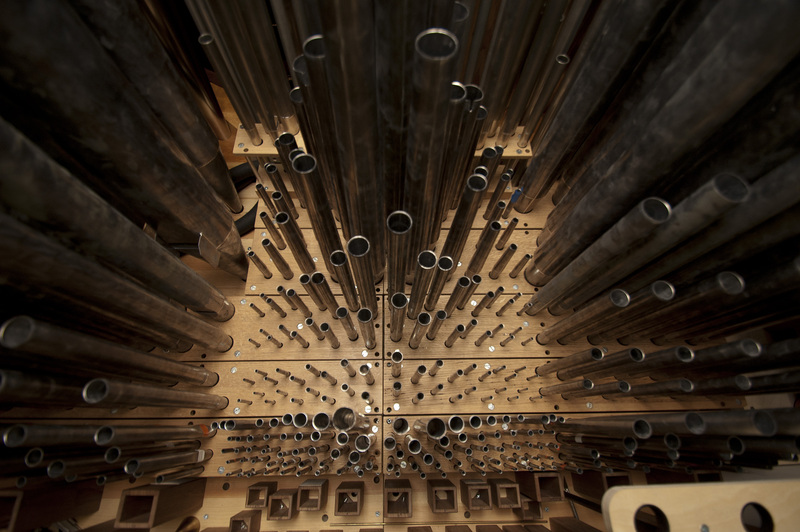 The Bassoon has metal resonators and is also bent in half. 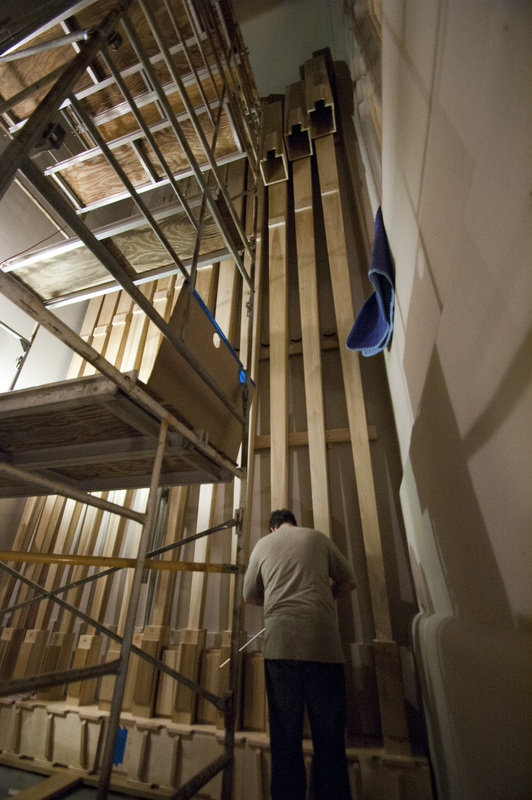 It will have a very focused and gentle sound and is placed between the large pipes of the Trombone. 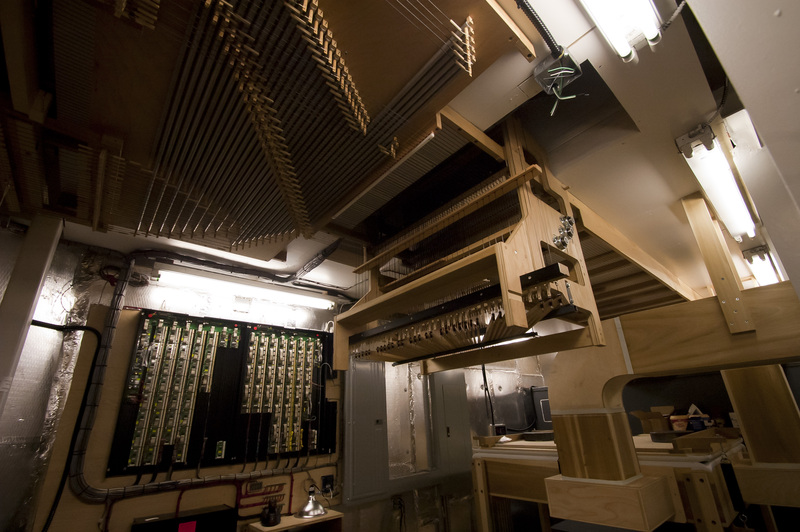 Photographs below include the two new 32′ reeds, swell pipe work, a view of the choir division and several views into the chamber. 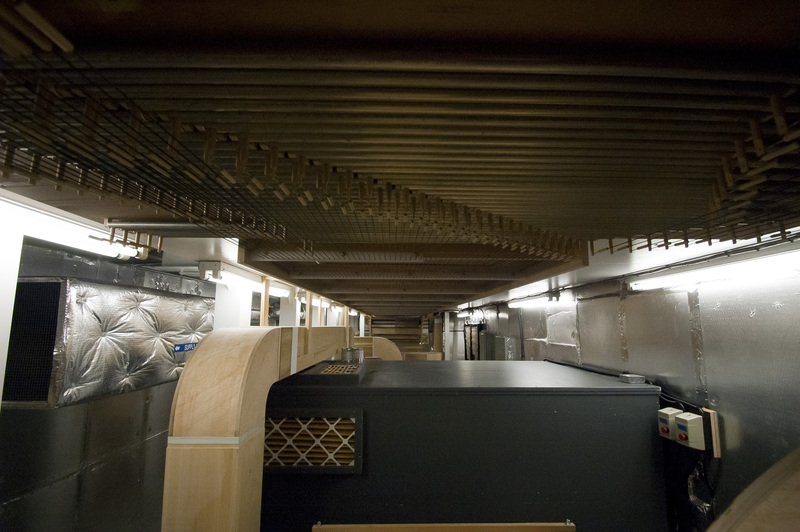 The final two photographs show the space under the Choir floor. 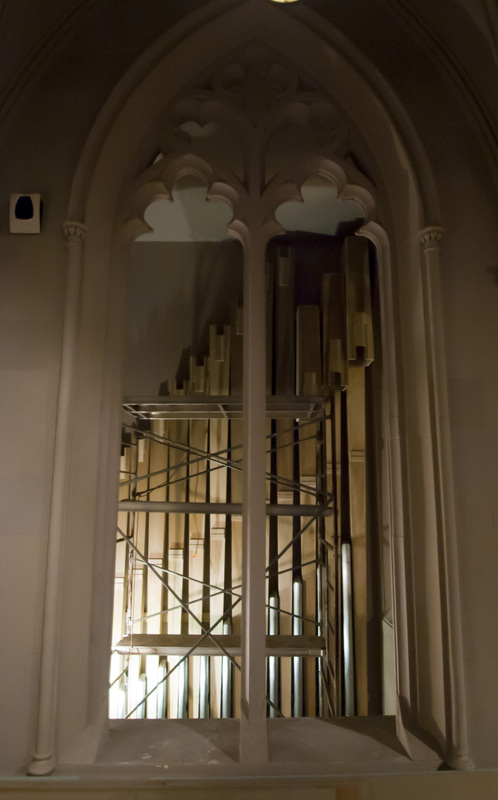 This area contains the lungs of the organ and all the action connections between the keys and the wind chests. 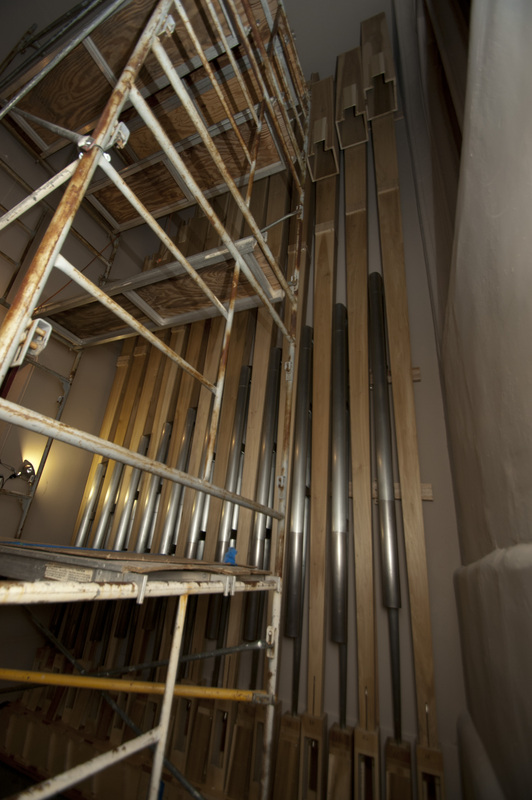 This week the 16′ Open Diapason of the Great and all the Swell flue pipe work became functional. 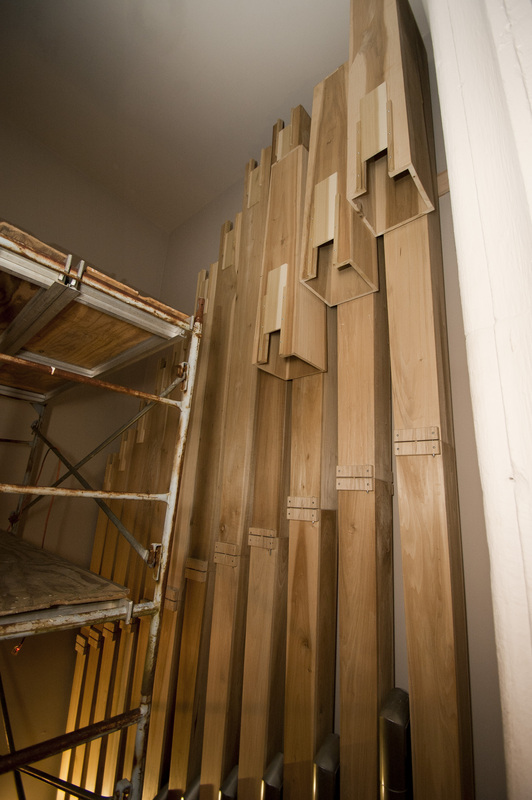 The color and dynamic pallet of the organ is growing every day!